I regularly watch Vijay Tv's Samayal Samayal by Venkatesh Bhatt which is being telecasted weekly once. I loved all his recipes especially the North Indian Dishes. 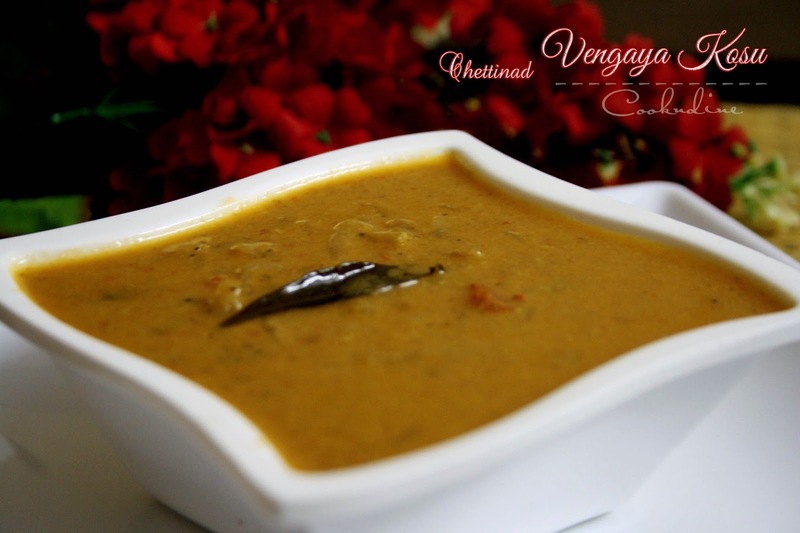 Hence I decided to start a new series on Venkatesh Bhatt recipes. 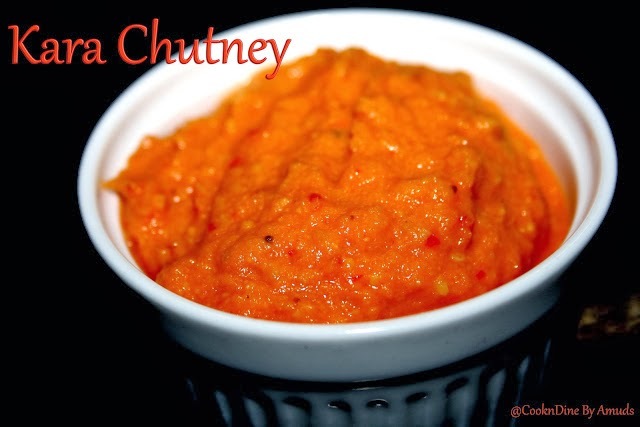 My first post on this genre is the Aloo Gobi Masala. 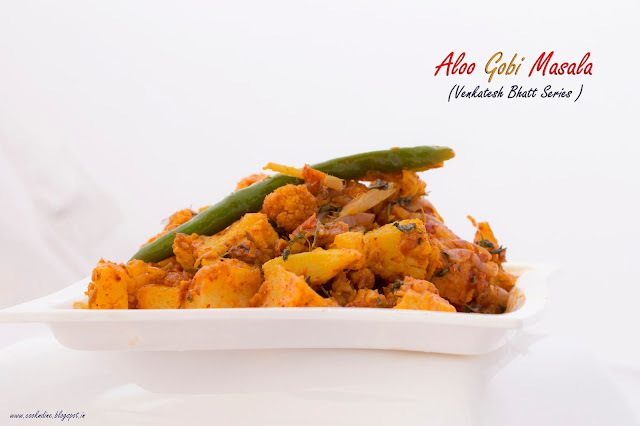 Aloo Gobi Masala is an excellent combo to have with Roti or Phulka. It can also be had with Pulao. It is very simple to make and the taste is just awesome. Yes…I am back after more than a year.. Nice to catch u up all after so many days. 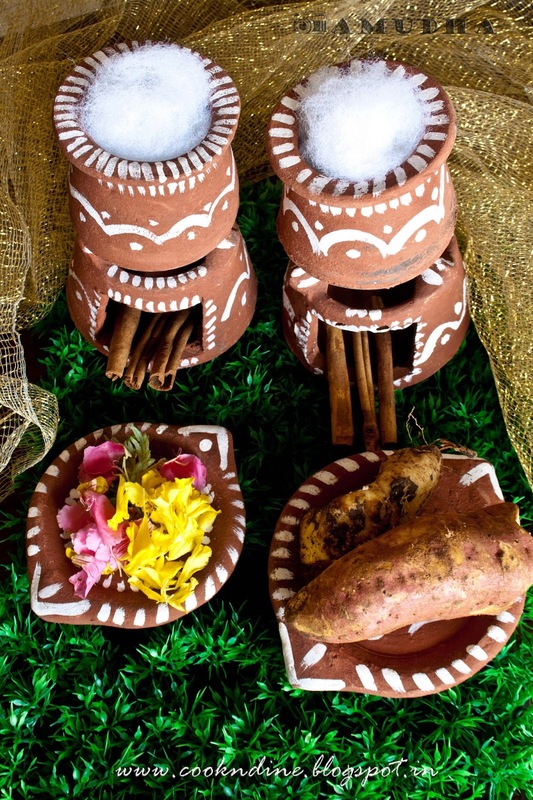 Out of my interest in photography I started this cooking blog .So to learn more on photography I took a year break .There had been calls from friends , dear and nears to restart the cooking blog. 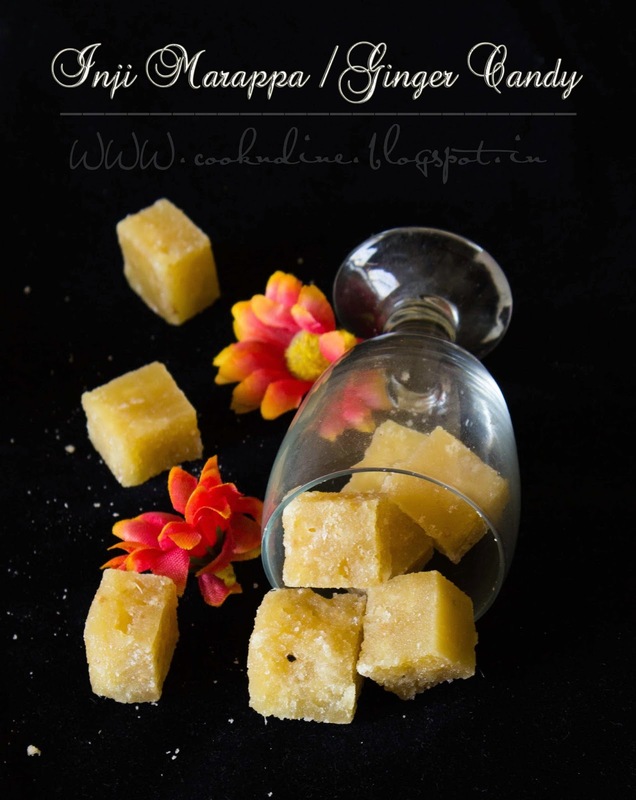 So decided to post atleast one recipe a week. Anything should be started with a sweet... 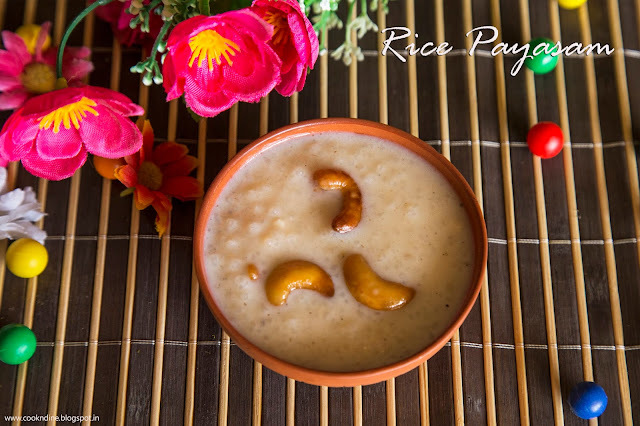 hence..Here comes my Paal Payasam \ Rice Payasam recipe.The recipe seems to be very simple ..But the taste of the kheer is just awesome.I am great admirer of solai Aachi. 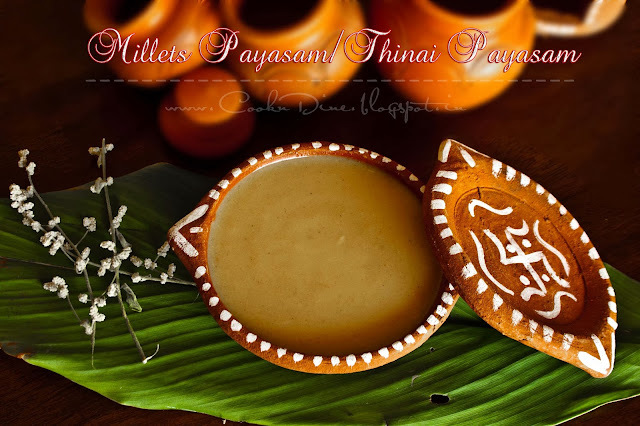 I came across this recipe in her blog and just followed the steps and successfully made this yummy payasam. Beware...You are not supposed to have too much of this candy too.. I always prefer the dish which takes very less time to prepare.All of us at home love Poha and mostly for a busy morning i find very easy to cook poha as it gets cooked in a very short time. 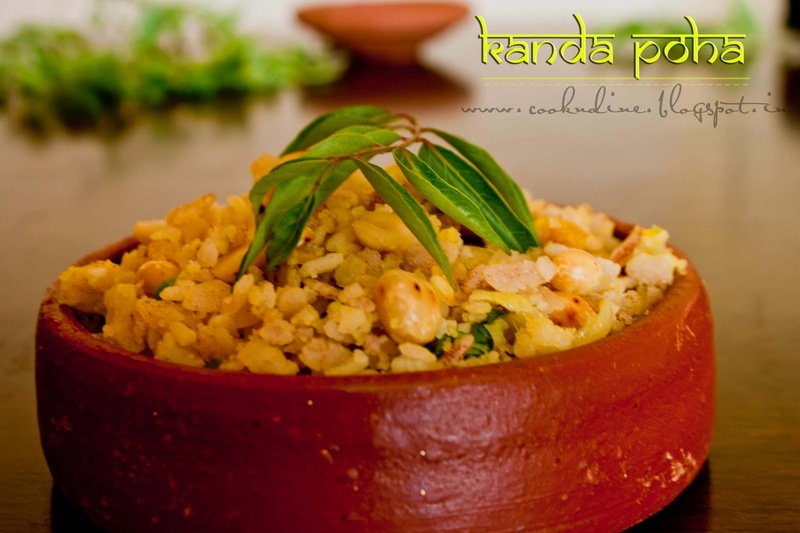 Kanda Poha is a typical Maharashtrian dish which you can have it as a breakfast or as a snack.It is also called Batata Powa/Kanda Pohe/kanda Batata Poha.Kanda means onion and Batata means potato in Marati language and hence the name.. 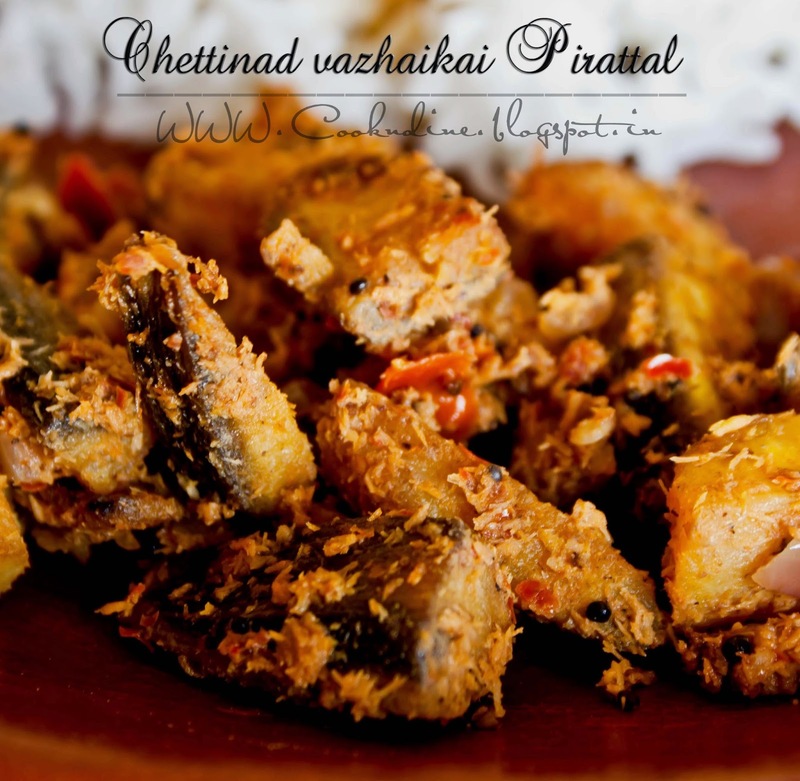 This post had been pending for many days as I busy learning at photographing people :)..With school projects and assignments I was also glued with my kids at helping them ..It was nice to have them nearby.I enjoy playing with them by entering into their world..What a creativity and imagination skills the kids have..
Coming to the recipe I got addicted to Chettinad Cuisine and in that lane here comes the Raw Banana Pirattal or Vathakkal..Call it by any name..! 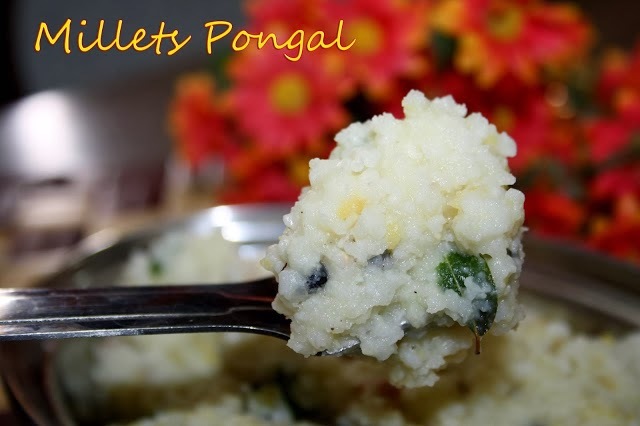 !If you want a change from the usual Raw Banana Podimas or the simple Raw banana fry..
"Wishing you all a very happy pongal..."
Celebrate this pongal with millets.This is an authentic dish from Coimbatore region and it tastes very delicious.Try out this yummy and healthy payasam which tastes more delicious than the other rice/dhal payasam...The texture is somewhat similar to rava payasam and tastes little similar(more yummier) than the pasi paruppu(Moong dhal payasam). 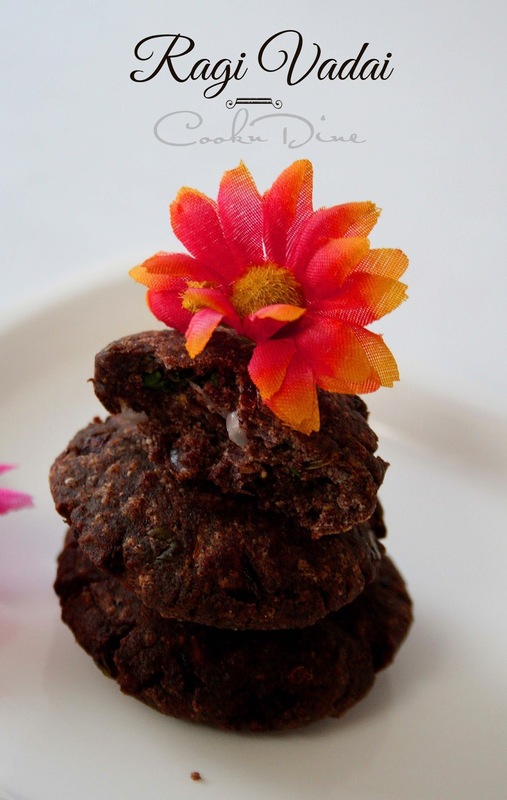 Let us celebrate this pongal with millets too..
Ragi/Finger millet is very rich in fiber and you won't feel hungry for long time if you have this millet.I have the habit of including this millet in my day to day menus to make it as a habit for my kids to have it regularly. I had already posted few recipes made of this millet like Ragi Semiya Uppuma,Ragi Poori..
Ragi/Finger Millet vadai is one of the most common snack of Coimbatore region.Yesterday surprisingly here in Tuty it was raining and schools were closed on this regard :) Kids wanted some snack for their evening and made these for them.With a ketchup they finished the plate and didn't disturb me for the next few hours..
Make these healthy Vada and start using millets in your daily routine.. It had been a long time since I posted anything.I had been busy at fixing things after a long vacation.I always admire at the way nagarathars cook and also plan things..One of my friend had been asking me to post some information regarding the nagarathars..I happened to get in more information about them from a TV show .And I am happy too to share a few before getting into the recipe. Nagarathars(which means city dwellers) are the people from the chettinad region(Sivagangai and Pudukottai districts) who are known for their Philanthropy,building styles,trading and of course exotic cooking style ..They are also referred as Nattukottai Chettiyars (which means people with palatial houses in the countryside).I always adore at the big palaces of Chettinad and their craftmanship at building houses.It is said that during king's period they had very close relationship with kings and that is the reason why their houses are as large and as beautiful as a palace. They are the one who introduced banking system too.Indian Bank,IOB were all established by Nagarathars.They have close association with Burma and that is why most of the houses have doors made of Burma teak.It is said that long back a sector of people got settled in Burma and they were the backbone for the civil administration of the Burmese society.They became more powerful money lenders and prominent businessman.Over the years the native Burmese developed a hostile attirude towards them and Nagarathars were forced to leave Burma.So those nagarathars left Burma and settled around places which is now called Chettinad..They used thick teak (Which will not get destroyed in salt water ) as a mode to travel from Ceylon and Burma and showed their craftsmanship in teak at making attractive doors..
Chola king had encouraged them to travel a lot and they travelled Srilanka,Burma,Vietnam,Malaysia and Indonesia to spread their business.So in most of the palatial houses you can find burma teak,chinese porcelain things,vietnam glass etc. A nagarathar lady is addressed as Aachi and Nagarathar lord as Chettiar with respect. People within the same temple are considered as siblings.The marriage of the Chettinad people is celebrated in a majestic way.They always prefer the marriage to happen only in their native town.Some of their marriage formalities include Pen Paarthal,Pesi mudithu kolludhal,Muhurtha kaal unrudhal,podhu padaippu,mapillai azhaipu,pen edukki kattuthal,Thirupootuthal,Vaevu Irakkuthal,mamiyar Sadangu,Poo manam Choridhal,Manjal Neeru Aduthal,Saman Parapudhal,kumbuttu kattikolluthal,Mana pen solli kolluthal,Kattu soaru unnuthal,Pen azhaipu,nathanar Sadangu..
Coming to the Chettinad cuisine..they are just mouth watering delicious food.As they had gained business contacts throughout the world they used different types of spices.The kavuniarisi dish is the one which they learnt from Burma..They basically use marati Mokku(Dried flower pods) ,Anasi poo (Star Aniseed)and Kalpasi in their dishes. "Wishing you all a very Happy and prosperous new year 2014"